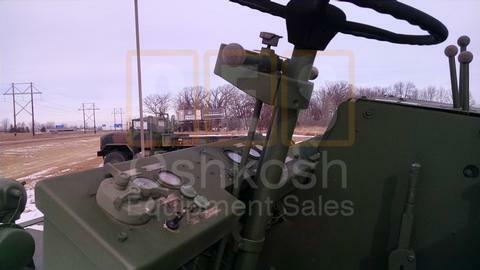 This item must be shipped freight. 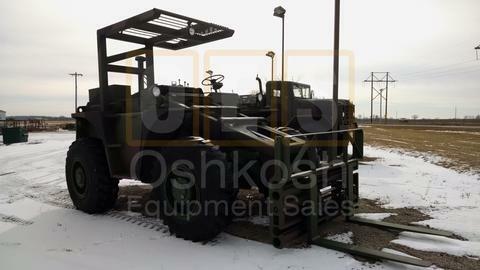 Please contact us to order this item. 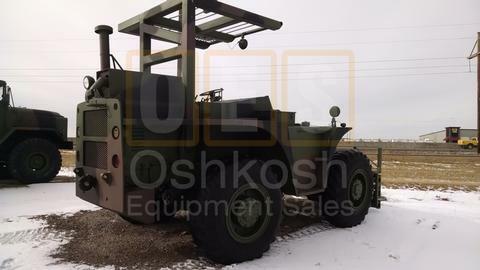 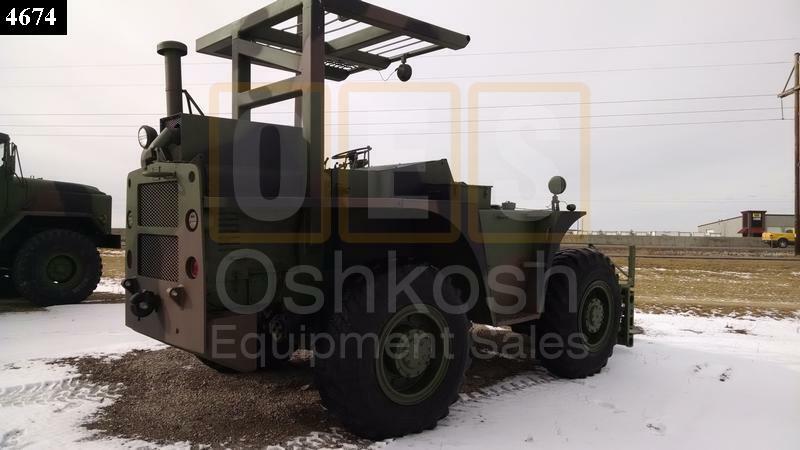 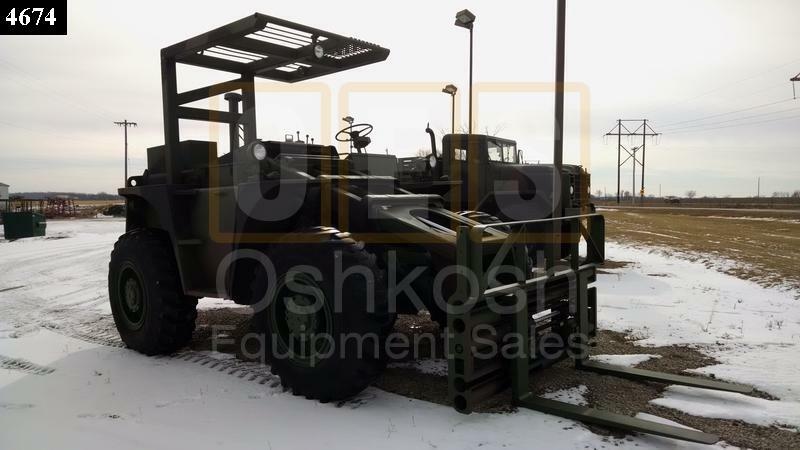 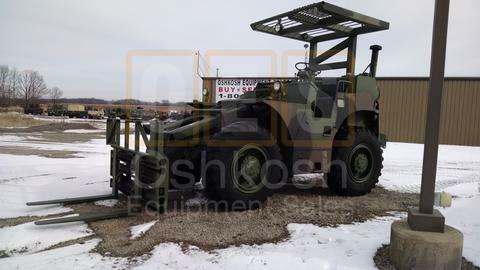 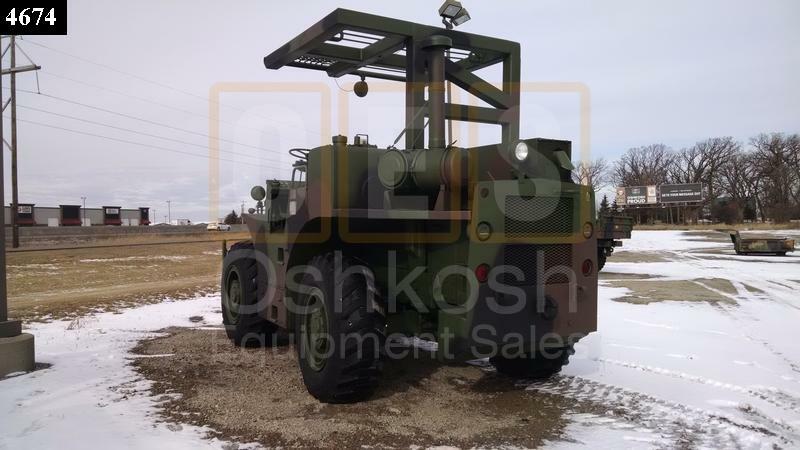 Fully Reconditioned Military Rough Terrain Forklift with 6,000 lb capacity, Four Wheel Drive, 3 Speed Transmission, Selectable Steering ( 2 Wheel, 4 Wheel, Crab) Fork Side-Shift, Full Machine Tilt, and Roll over Protection. Powered by a 4 cylinder Detroit Diesel 453. 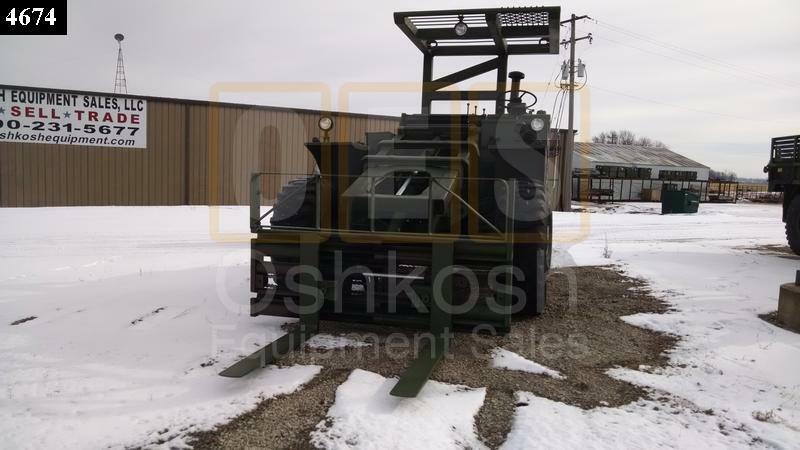 This unit has only seen 395 hours of use. 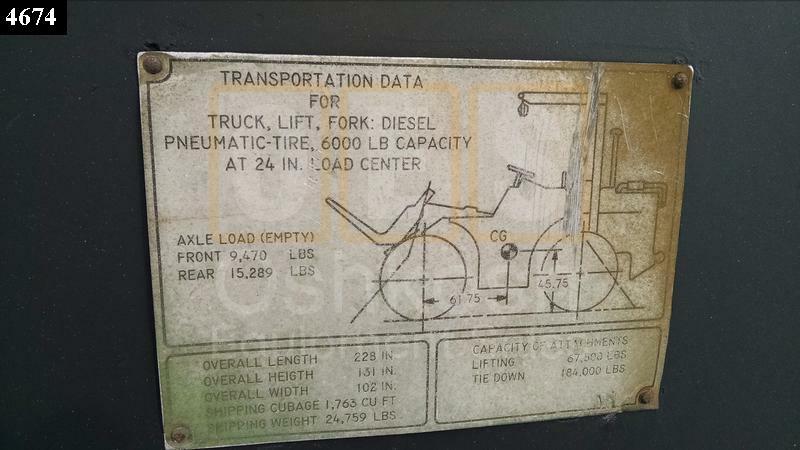 Fork tips are unworn and like new. 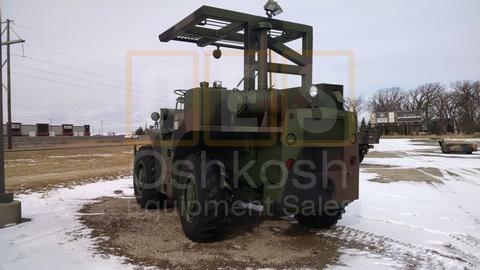 These lifts are very user friendly and easy to operate. 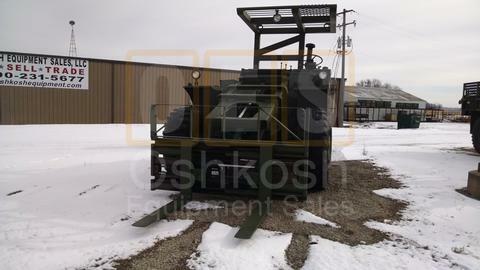 We have been using these machines at our facility for many years and have proven very versatile and dependable.